Posted on October 19, 2016 at 10:34 am. Quickspin has released a new pokie and if you try it out at Guts.com you can score a substantial cash back bonus and free spins. 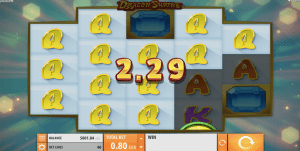 Dragon Shrine landed at Guts online casino this week and the pokies specialists behind the title have delivered. To celebrate, Guts are offering a reload bonus which you can claim today. Simply deposit at least $20 between 10:01 and 21:59 AEDT today – Wednesday, October 19 – to receive up to $75 matched by 75%. Simply enter the bonus code DRAGON when you make the deposit, and you can then use the bonus on the new pokie. 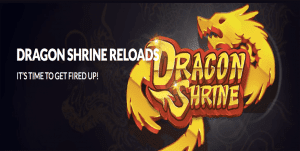 Dragon Shrine is also the Game of the Week at Guts, meaning you can also take advantage of their Thursday Triple bonus where you can score up to 60 free spins on the new title. Quickspin has released yet another stunning pokie which showcases their expertise of video poker machines. There’s 40 paylines across 5 reels, but the format is incredibly unique with the two outer reels only having 3 rows and the three middle reels having 4 rows. The theme is of the Oriental kind, which we have seen before, but the soundtrack and the graphics are a different take on the design making it quite exciting and enjoyable to play. The main draw card is the randomly activated Dragon Stack ReSpin bonus where the first reel will be fully Stacked with dragon symbols and spin for three Re-Spins. Any new dragon symbol will also be locked and after the three Re-Spins have completed all the reels can be dragon symbols, meaning huge wins. Players can also get up to 10 free spins, with wins paying both ways. The Dragon Stack Re-Spin feature can also be triggered here too, with the addition of two stacked reels instead of one. The pokie offers a 96.55% RTP and stays true to Quickspin’s reputation of offering state of the art pokies. You can also try it out on your smartphone or tablet, not just desktop or PC. If you like the sound of this pokie, take advantage of the cash back offers at Guts Casino today and tomorrow – or opt in for the welcome bonus of up to $400 matched if you’re a new player. Missed out on the promotion? You can always visit Raging Bull Casino, our #1 recommended casino site for players from United States, which runs daily, weekly and monthly bonuses for maximum value.